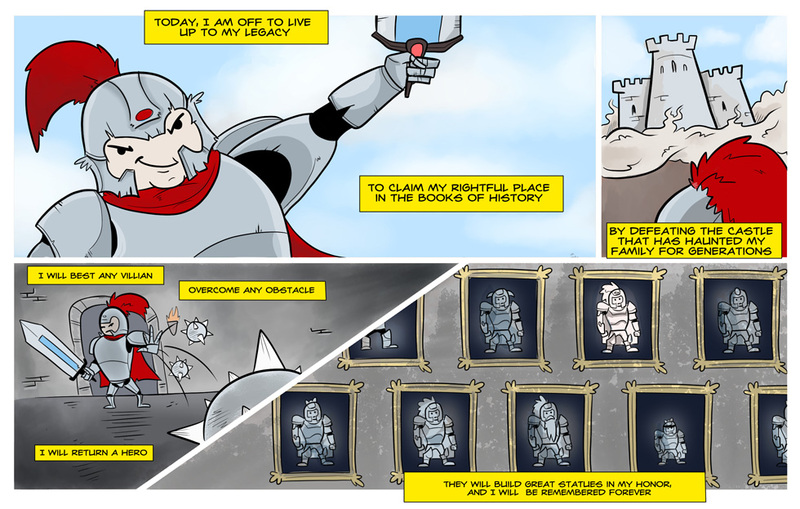 If you follow me on Twitter, I have not been shy about how much Rogue Legacy I have been playing recently, and so I decided to do a comic about it. If you haven’t seen Rogue Legacy, its a 2d platformer, that’s hard…like way too hard for me, but I’m pretty rubbish at games. Everything about this game draws me in, from the graphics to the gameplay to the fart jokes. Now if you’ll excuse me, I have to go die 1000 more times in Rogue Legacy :) Seriously…go play it.